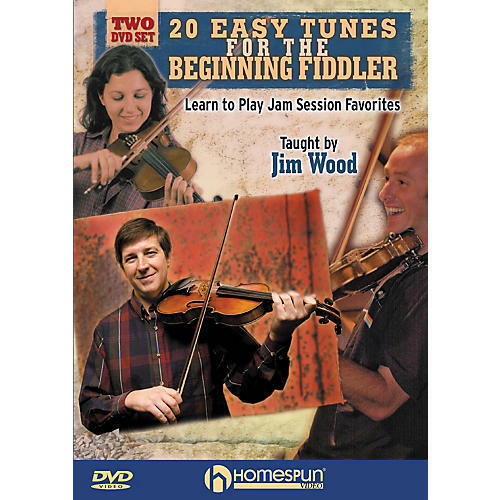 In nearly three hours of play-along instruction, Jim Wood teaches new fiddlers everything they'll need to play America's best-loved tunes. With the help of his wife Inge on guitar, Jim gives beginners pointers on bowing, accurate noting, and details on playing in several keys. Tunes: Soldier's Joy · Turkey in the Straw · Sally Goodin · Little Liza Jane · Buffalo Gals · Redwing · Sweet Hour of Prayer · and 13 more. LEVEL 1 · INCLUDES MUSIC · 180 MIN.